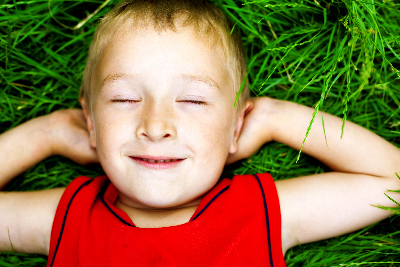 Can You Get More Out of Life By Living Positive? How many people squander their most precious resource, time, and don’t even realize it? People fill days with worry about unimportant things, or things on which they can have little to no impact. Worry filled days leave emptiness in their wake. This is not a transcendental perspective on creating miracles in your life. There is absolute practicality in living positively through positive thinking. Think of positive thinking as a practical approach to appreciating and making the most of what you already have, rather than having overly positive expectations of future outcomes. Living positively is about choosing happiness by focusing on the positives in your life and your experiences. The focus is on the positive in any given situation. The attention is paid to what is there, not what is missing. A positive perspective takes what is good in a situation and moves that forward, without the negatives. Positive thinking is the key to living positively. The proverb “be thankful for what you have” sums up the practice of living positively. Anyone who has trekked off to college and has lived on little and made the most of it, and experienced a truly happy life in the process, has demonstrated their ability to not focus on what is missing. 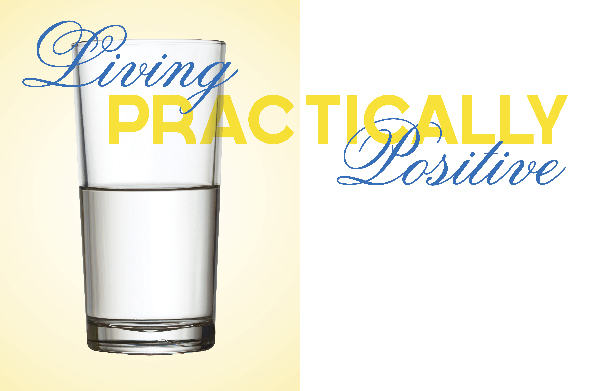 Living positively is definitely seeing the glass half full. If you don’t recognize the water in your glass, you simply go thirsty. Living positively makes use of that with which you are blessed and that which you have earned. To a great degree, happiness is a choice. There are powerfully negative events in life, such as death, sickness, loss, and pain, where sadness is the natural and appropriate emotional response. There are also powerfully positive events that illicit great joy. Births, marriages, graduations, birthdays, accomplishments. All are naturally positive. Most everything in between is up to interpretation by the individual having the experience. Daily living takes place in that space between powerfully positive events and powerfully negative events, and it is one area over which we are able to have some dominion. It is also in this space that the majority of our time, and our lives, is spent. We choose, moment to moment, event to event, how we accept and interpret our lives. It is arguably this space in our lives that defines us more than any other, because it is shaped by us. Those who allow their lives to be filled with unconstructive worry have much less room for time spent in enjoyment. Time spent dwelling on negative possibilities is too often at the expense of recognizing the good things in life. Those who choose to spend their time and focus appreciating what life has to offer them enjoy great returns. While there is no choice in how we experience the powerfully positive and negative events in our lives, there is nothing but choice in that space in between. In that space is an opportunity to choose to shape our lives with positive thinking. 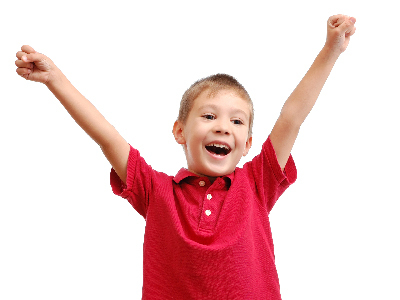 Research has shown that positive emotions increase levels of dopamine and serotonin in our brains. These chemicals not only make us feel good, they activate learning centers in our brains and allow us to perform at higher levels. We are able to think more quickly, perform more complex analytical tasks, solve problems more easily, be more inventive and creative, and retain and retrieve information more easily when these chemicals are present in higher levels. In the book “The Happiness Advantage,” Shawn Achor subscribes to having a greater ratio of positive experience in our lives to increase overall happiness, where positive experience is any experience we accept as positive. Achor advocates using seven principles that use positive psychology. One of those principles is a simple exercise of reliving the day’s most positive experiences through remembering. This causes your mind to methodically re-embrace the day’s most positive experiences and increase the exposure and psychological impact of those positive experiences. Imagine what happens when the opposite occurs, and instead worry, aggravation, and grief are given extra time and attention. Each night when I put my children to bed I ask them to recall their favorite three things from the day. This simple routine allows them to take a moment to focus on the good things that had an impact on them, while allowing me, as a parent, to share in their joys. Recognizing, embracing, and exemplifying the positives is a 24/7 practice that teaches us how to live, and extends beyond us. It teaches our children how to live as individuals and as a family, and to live their lives in a way that is most worth living. You can choose positivity in your life’s greatest challenges, and even in what seem to be mundane challenges. The point is to choose living positively in your life by simply recognizing the best of what life offers. If you practice positive living as a family, you will be able to teach your children the benefits by example. Through their learning, your children will open doors in their perspectives and in their lives. A single, small achievement in your child’s perspective can result in the first of a series of rich life lessons and experiences they have to look forward to in their own life journey. We all have the free will to choose living positively, or to choose not to live positively. Be thankful for what you have. Share your joy. Enjoy life. You only get one, and the way you experience your life influences the lives of those you love. The book “The Happiness Advantage” (copyright 2010), by Shawn Achor, is based on the same content as the famed, research-based Happiness Course taught at Harvard.